This was my favourite of the cards using the Golden Glass Bead Gel. I used texture paste through a stencil in the background and gave the flowers dimension by using 3D tabs to attach them. I then used the Glass Bead Gel on both the background and the centre of the flowers. I loved the way the gel took on the colour of whatever was behind them. Hard to see here, but it is really quite effective. Loooovely purples! 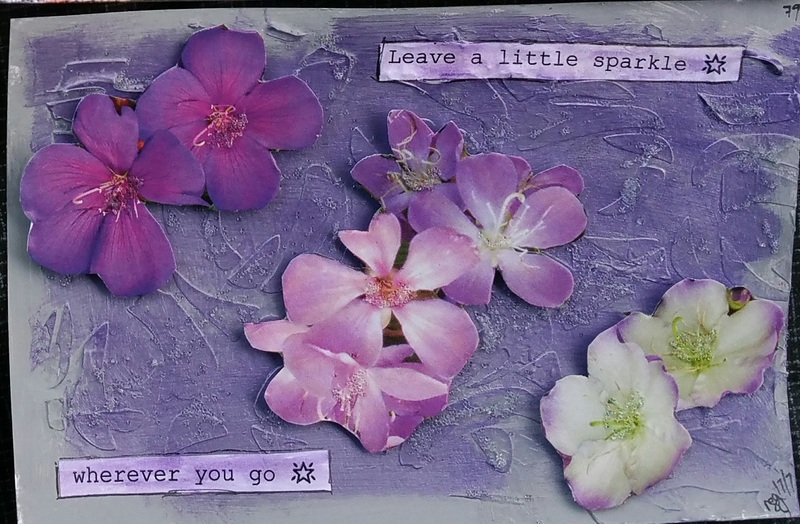 Great uneven textured background, lovely flowers! 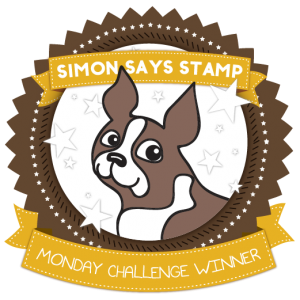 Thank you for joining us at Simon Says Stamp Monday Challenge!